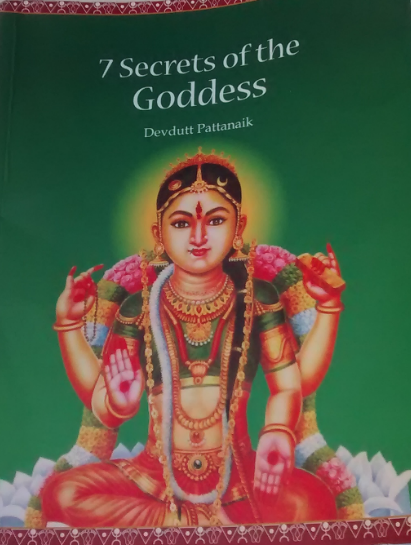 "7 secrets of the Goddess" is a kind of unusual book I read recently. This is not a fiction that I usually read. This book is about mythology, the story, reason behind various female gods worshiped or feared by Hindu community largely, with one from Greek mythology.. The textbook sized, 300 page book has lots of pictures, so that readers can correlate or visualize the explanations given. Following Goddess are covered: Gaia (a Geek Goddess), Kali, Gauri, Durga, Lakshmi, Saraswati and Vitthai (A female variant of Lord Krishna, followed in Maharastra). "Seven secrets of the Goddess" has lots of convincing explanations to various rituals and practices that exist today. Book goes on to explain what could have been the original practice and how things changed once human life shifted from nomadic to agricultural based to trading to current world. The language is very simple. Use of photos and symbols make it even easier. You will ask "What is in it for me?" How knowing these 'secrets' help in every day life? Or more blatantly put, "Why should I buy this book?" 3. Learn some interesting and informative truth about the goddess. To maintain symmetry between male triad (Shiva, Vishnu,Brahm) and female triad (Kali, Lakshmi and Saraswati), Saraswati is often paired with Brahma. The explanation is that creator needs knowledge, maintainer needs wealth and destroyer needs power. When Kumbakarna was about to ask a power from Brahma, Saraswati intervenes and makes his tongue twist, making Kumbakarna ask for Nidra-aasana (sleeping power) instead of Indra-aasana (seat of Lord Indra). What kind of existing materials author has studied to arrive at some of the statements, conclusions made in the book. I am sure not everything is not author's own discovery/interpretation and must be supported with some evidence/reference. About the author: Devdutt Pattanaik is a doctor by training, leadership consultant by profession and mythologist by passion. He has been conducting lots of lecturs about sacred stories, symbols, rituals etc. He has multiple books to his credit, other than the one mentioned here, few other notable ones are "seven secrets of Vishnu", "7 secrets from Hindu calendar art" etc, all published by Westland. Devdutt was recently invited to participate in the Tata Literature Live! The Mumbai LitFest, which was held from October 30th till 2nd Nov 2014,where Devdutt spoke about how ancient narratives help in dealing with challenges of contemporary India. Great Gopal. Do check it out. To fully understand this book basic knowledge of Hindu religion is imperative. Ergo reading of Ramayana Mahabharata Vishnu Purana Shiva Purana et al is essential. Then the reader will be able to appreciate fully the nuances n subtleties of various pictorial depiction of goddesses n also the the implied meaning. A light reading to plug the voids existing in one's knowledge of Hindu religion or for the curious reader aiming to fathom the nuances of Hindu religion.